Mediterranean styled three, four and five bedroom townhomes tucked away from activity – yet only a fairway from amenities. 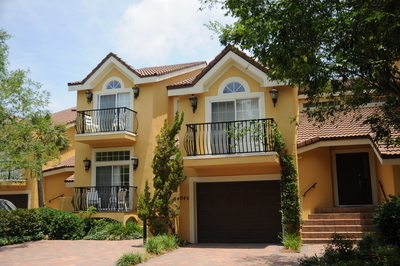 This neighborhood is surrounded by Links golf course and has stunning bay views. Dual master suites, French doors, fireplaces and multiple balconies a just a few of the features.